The article treats the relationships between the category of gender and space in Zofia Nałkowska’s selected works. The author is primarily interested in public space, however, in her view, Nałkowska regarded private space and intimate relationships as paradigmatic and most important for the existence of men and women in society. Accordingly, the author attempts to reading Nałkowska’s political novels as romance novels and suggests a political mode of reading for romance/women novels. Reconstruction of Nałkowska’s analyses of establishing power and characteristics of close, also intimate personal relationships leads to a conclusion that in the writer’s view, when resorting to an expressive and popular formula the private is not necessarily political; it is rather the reverse – the political is the private. In 1940, a nineteen-year-old Baczyński experienced a disappointment in love with a year younger Anna Żelazny. At that time he composed a series of poems, which have been scattered on the pages of his Collected works, and which nevertheless constitute a discrete cycle. In order to express his emotions and for his self-therapy, Baczyński produced lyrics abound in macabre pictures, figures, and props close to those found in some fairy-tales. Furthermore, the poems in question are built of schizophrenic deformations of the world, lunatic visions and the unreal. 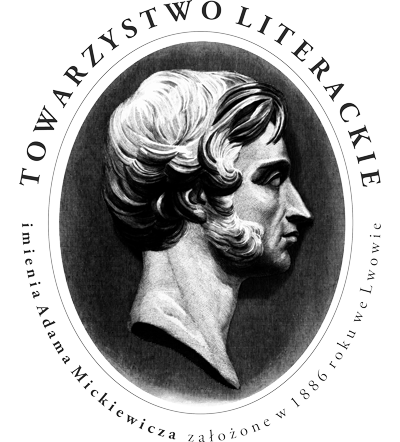 Through the figure of the hero whose love was rejected and who in his despair ponders on death, as well as due to other references and parallels, some Baczyński’s poems of that time can be linked to romantic texts such as Mickiewicz’s Forefathers’ Eve and Norwid’s Epos-nasza. In 1951 Maria Kuncewiczowa entered into contact with the editorial staff of “Kultura” monthly suggesting the publishing of her new recent novel The Forester. Jerzy Giedroyc, its editor, willingly accepted the offer but their cooperation failed to follow, despite the fact that the role and function of emigration represented by the Paris circle was undoubtedly closer to Kuncewiczowa than to that of Poles in London, where the writer lived after the WW II. The article attempts to explain the reasons of Kuncewiczowa’s estrangement from the group of “Kultura” based mostly on Kuncewiczowa’s correspondence with Giedroyc, and his letters to other writers. A closer analysis of their views shows that differences were more vital than similarities. At the same time, letters of writers gathered mainly around “Kultura” allow to reconstruct the reception The Forester got from their fellows. Eda Ostrowska, a Lublin poetess with a painful interesting biography, is the author of unconventional “scandalously personal” lyric poetry which oscillates between often exhibitionistic eroticism and metaphysical touch of the Absolute. The article analyses the various attitudes of Ostrowska’s heroine towards the world, her “own self,” and God. Poetic ways lead her through uncovering her own subjectivity and identity, illness, ecstatic experience of love, femininity, especially in the bodily dimension, the rooting in human experience, and blasphemy. Amazingly, the incoherent recognition lead to revelation of the religious side of the lyric poetry, of Ostrowska-the-psalmist, who neither divests of her former discord to suffering nor give up the brave and picturesque language of objection but supplements it with an intimate idiom of prayer poetry, not as much confessional expression of trust but an exhibition of human perplexity. The article is an attempt to apply the gender theory into the analysis of Stanisław Vincenz’s In the Upper Highlands. The reading that places gender at the center of interest allows to complement the variety of interpretations with new meanings. The idyllic and the arcadian referred to by Vincenzologists prove in the context of gender to be an illusion, since the community of Hutsuls founded on patriarchalism and joined with misogyny lives in constant danger from the cosmogonic, demonical and social power of women. The paper suggest to examine Vincenz’s tetralogy not according to the traditional interpretative key as a conflict of the Old Age with the New one, but also as a myth-like story on the “perennial” conflict of sexes, complemented with those scrutinized here, clash of local homosocial liaisons with the homosexual Other (i.e. culturally foreign). In Stanisław Grochowiak’s poetry the existence of woman is marked with death since a man does a fruitful metaphorical hunting to catch a weak, emaciated heroine identified with his prey. Eventually, the remnants of the prey are conserved and shaped into a poetic form to serve as aesthetic food. Hunting metaphors unfold the essence of women objectification as seen by the author of Black Grouse-hunting. Based on the accesible family correspondence and academic publications, the present study aims to describe Maria and Jarosław Konopniccy’s family life history, and pays special attention to the figure of Maria’s husband. The subject of the editorial part are Konopnicka’s survived letters to her husband which touch upon the painful and shameful problem of their daughter’s Helena mental illness. The letters in question, being undoubtedly a part of much richer collection of letters exchanged between the couple, on the one hand show Konopnicka as a weak and unhappy mother, and on the other hand as a woman of an exceptionally strong, firm, and independent character. Additionally, they indirectly inform of Konopnicka’s other children, complement our knowledge about her life and work conditions, and eventually serve as a clear evidence that Konopnicka’s departure from the the Kingdom of Poland at the beginning of the year 1890 was of an exclusively family character, not a political one. The article aims to construct the biography of Gizela Reicher-Thonowa (1904–1941? ), the author of an outstanding book Ironia Juliusza Słowackiego w świetle badań estetyczno-porównawczych (Juliusz Słowacki’s irony in the light of aesthetic-comparative studies) (1933). Initially, Reicher-Thonowa’s work encountered misunderstanding on the part of the academic community as too innovative and advanced for her contemporaries’ thinking on Polish Romantic literature. Moreover, being a woman and Jewish, she could not expect to make a career in humanities in prewar Poland. Gizela Reicher-Thonowa’s biography has been constructed from the scanty documents and letters preserved in archives. It presents the following stages of her life: comparative studies at the Jagiellonian University in Cracow, doctoral defense in 1926, her marriage to Albert Teitelbaum (vel Thon), leaving for Łódź, arrival to Cracow with her daughter during the war in 1940, and finally, her employment in a Jewish organization aiding orphans. It is the last stage of her life documented in archives. The International Tracing Service Arolsen informs that Gizela Reicher-Thonowa’s family was murdered in 1941 in Bełżec concentration camp, and Gizela herself most likely also died at the hands of the Nazis. The article is a part of doctoral dissertation on Wisława Szymborska’s 1945–1957 literary creativity. As settled during search queries in libraries and archives, it accurately presents the poetess’ biographical and literary data which refer respectively to the period of juvenilia and her work to complete the first, unpublished collection of poems, the years of socialist realist literary creativity, and the period of ideological transformation closed with the date of publishing of the collection Calling out to Yeti. As far as its theme is concerned, the article includes pieces of poetry and journalistic and translation activities, and its background is the then cultural events directly referring to the figure of the poetess. An annex to the article contains a bibliographical description of Szymborska’s 23 juvenilia. 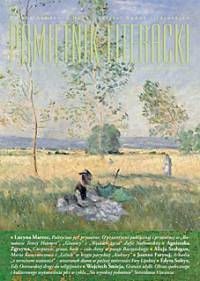 The subject of the review is Danuta Künstler-Langner’s book Angel in Baroque Poetry. History of the Figure in Old Europe Culture. Is such ambitious monograph (such term is the book referred to by its author) virtually possible? Indeed, its content matter should be centuries old European culture from Lisbon to (at least) Vilnius and Lvov. The author of the book gravely ignores an enormous state of research (only in Polish books I have counted up to thousand pages) which gives an impression of originality. This monograph is rather a guidebook in poetry and works of arts since a more compound angelology is to be found mainly in the introduction and conclusion. The review presents the book Wola odróżnienia. O modernistycznej poezji Jarosława Marka Rymkiewicza, Julii Hartwig, Witolda Wirpszy i Krystyny Miłobędzkiej [Will of Differentiation. On Modernist Poetry of Jarosław Marek Rymkiewicz, Julia Hartwig, Witold Wirpsza, and Krystyna Miłobędzka] by Anna Kałuża, who describes four conceptions of writing poetry within the modernist project in Poland in the second half of 20th century. Kałuża considers Rymkiewicz’s poetic oeuvre as pre-modernist; she exposes the inability of differentiation in modern poetry and proposes the use of dédifférenciation (René Girard) in “the stream of death” instead. Julia Hartwig is described as a representative of high modernism, whose view of reality is nonetheless one-dimensional and too estheticized. Witold Wirpsza in Kałuża’s interpretation appears to be a debunker, a constant critic of former poetic diction, and Krystyna Miłobędzka – a modernist par excellence, trying to find a “proper” word, which could call a spade a spade only once. 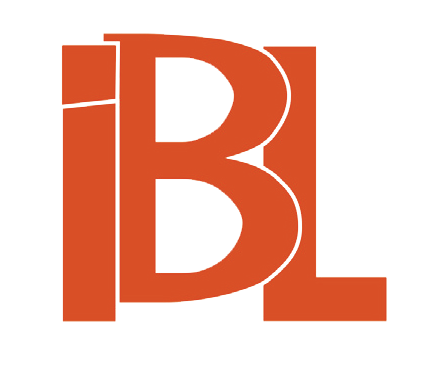 The text is a review of Błażej Warkocki’s doctoral dissertation which analyses the discourses of sexual differences in contemporary Polish prose as based on literary creativity by Grzegorz Musiał, Andrzej Stasiuk, and Izabela Filipiak. 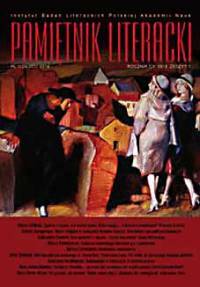 The text reviews a Russian scholar’s book on Polish prose after 1989. Worth noticing in the book is the author’s reliability, who recalls and analyses 126 literary pieces issued between 1989 and 2004 as well as its popularizing valor – out of the aforementioned set of texts only 10 have been translated into Russian. The text is a presentation of the first volume of the yearly “Wiek XIX” (“19th Century”), an organ of Adam Mickiewicz Literary Association. The periodical is viewed at the background of the tradition of similar publications which date back to 19th century.